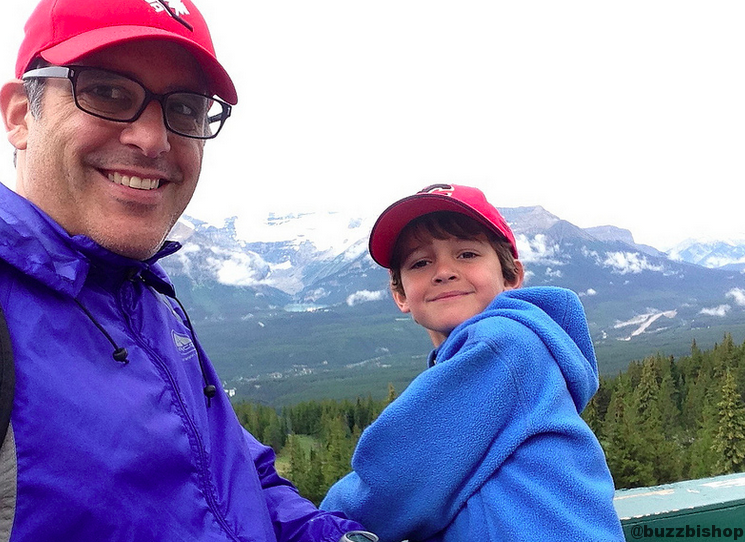 We took some time from the Christmas holiday to go for a skate and slide in Banff. 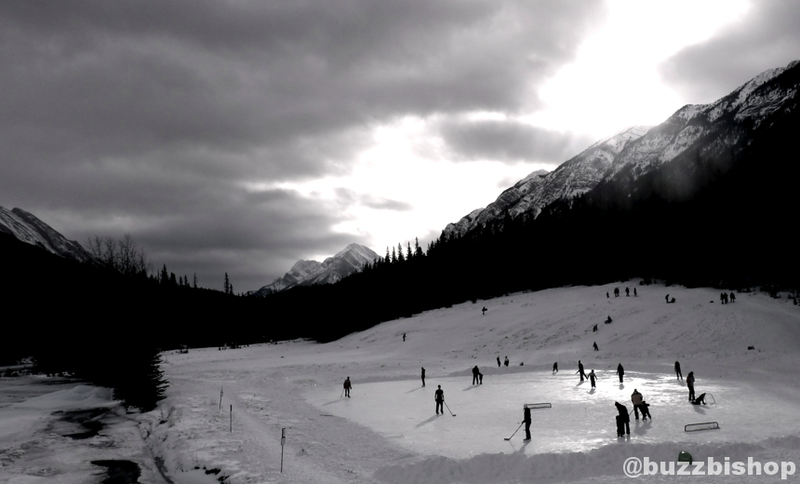 There is nothing more spectacular, than strapping on some blades and going for a skate in one of the most beautiful places in the world. 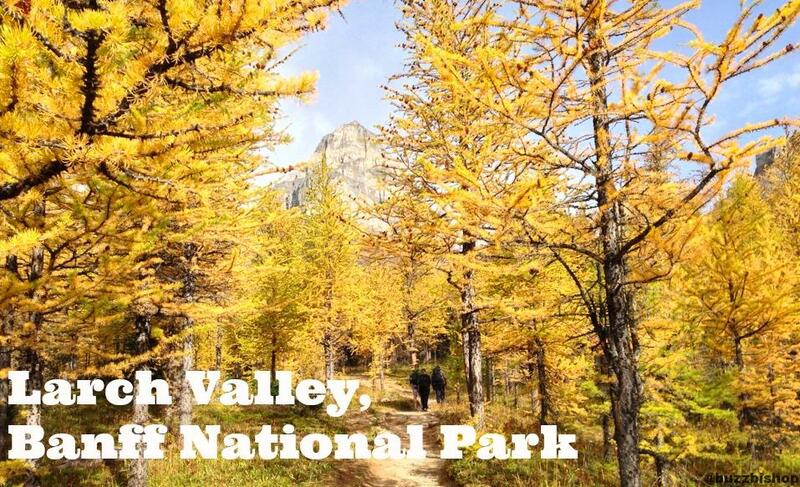 When is the best time to hike Larch Valley? In the fall, when the leaves are flaming yellow. Everyone knows this so go during the week, or early on the weekends. I left home at 630 and was rewarded with a fiery mountain meadow. 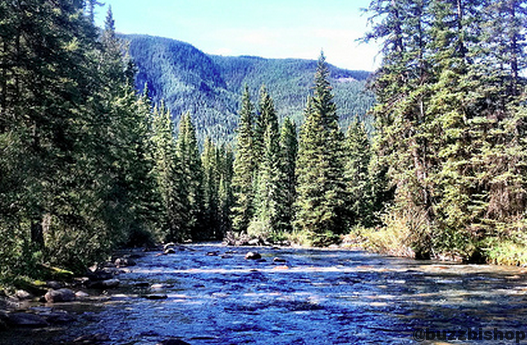 Here’s some pictures, and 8 other hikes to avoid the crowds during larch season in the Rockies. 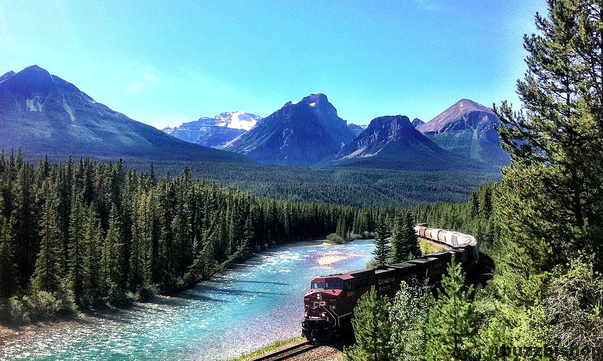 One of the most famous places in the Rocky Mountains is a bend in the track in a valley by a river. 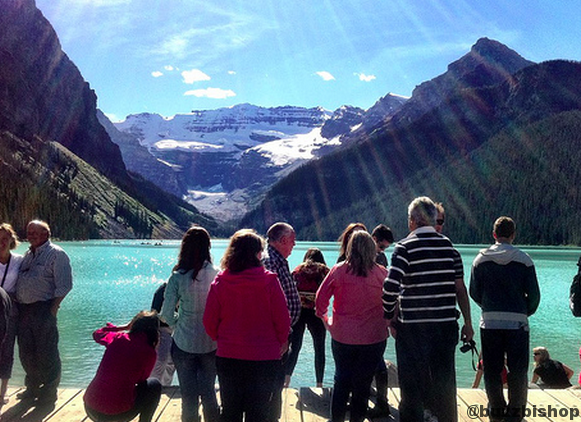 The best view of Lake Louise may not be from the lake itself, but across the valley at the Lake Louise gondola. 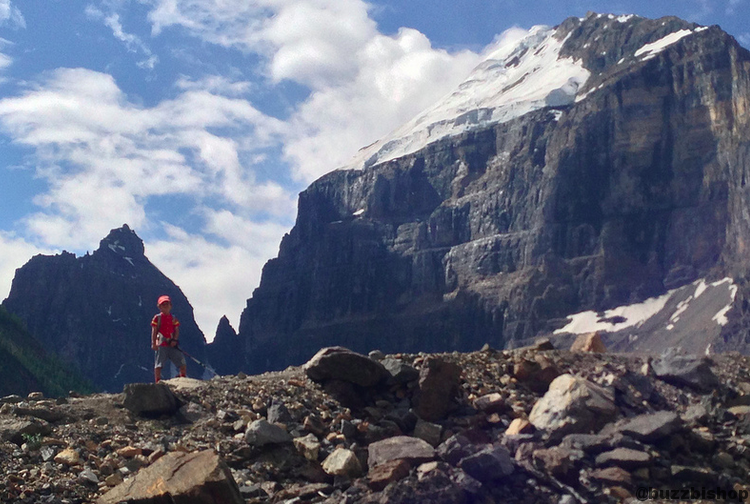 The hike to Plain of Six Glaciers is a popular tourist trek for good reason – the views along the path and the teahouse at the top are magnificent. 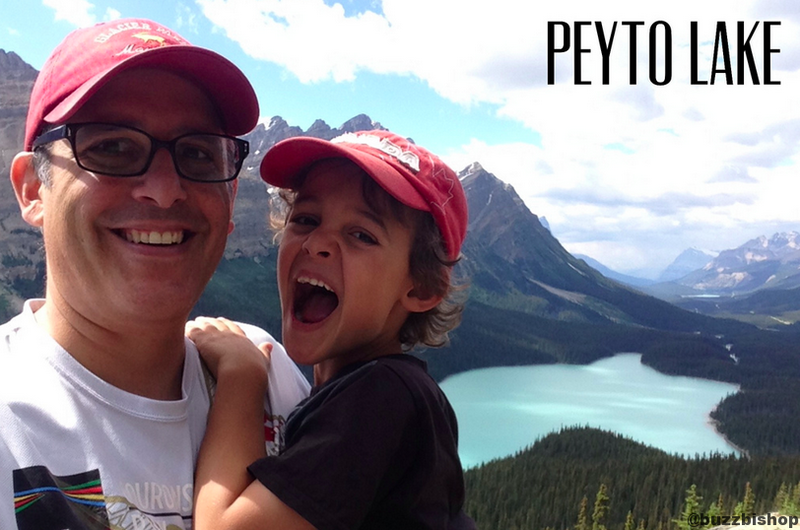 You’ve seen Peyto Lake in countless Travel Alberta ads, now take the quick and easy hike to get one of the best views of our beautiful province. Lake Louise is a great jumping off point for exploring Yoho National Park, the Icefields Parkway, Banff National Park, or just staying within walking distance. 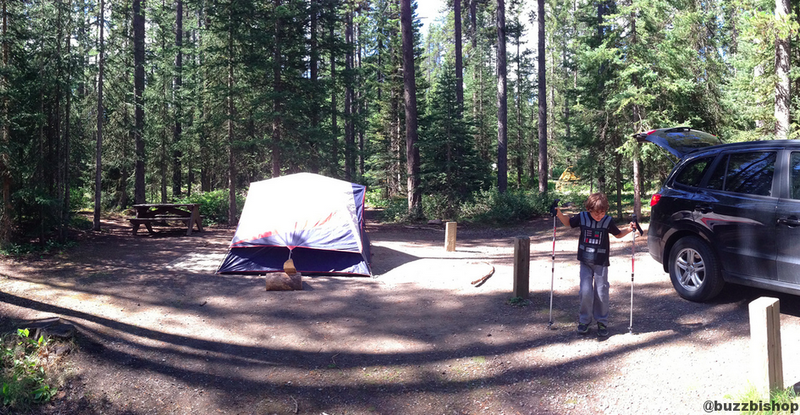 While the Johnston Canyon trail is a popular family hike, the campground across the highway will guarantee you a good parking spot to explore the waterfalls and ink pots. Tourists here are just like tourists there. They Euros probably laugh at us trying to hold up the tower at Pisa, so laugh at them jumping at Lake Louise.